Wichita Residential Roof Repairs from MidKansas Exteriors Inc. 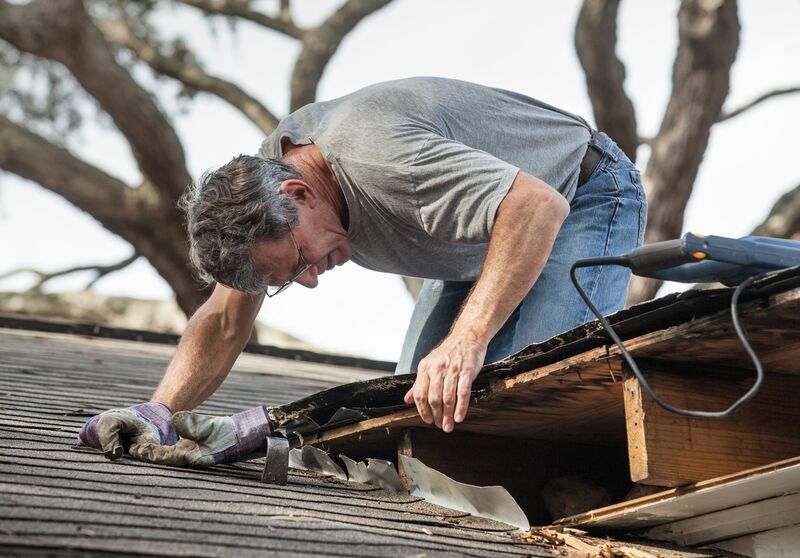 The roof repair services we offer at MidKansas Exteriors will be timely and thorough. You will want to get a hold of us quickly at 316-613-2377. There are a lot of factors such as hail, trees limbs falling, storms and people walking on your roof, that will contribute toward leakage. The vast majority if problems with leaking roofs are due to poor installation. The roofing material typically works as it is intended. The problem is very often that flashing that you will see around a chimney, step, apron, valley, angled areas, or any place where there is a joint between different sections. All of this should be looked at during an inspection to take care of current leaks and to prevent future leaks and damage to the frame of your roof. The inspection should also reveal any missing or broken shingles and shingles that have been nailed improperly. Another area to review is your gutters. If they are clogged they can cause water to flow back toward the home and leak into your walls. You should also have the flu pipe checked for alignment to make sure there is no leaking inside the chimney. All of these issues should be looked at on a periodic basis. So call us in the spring for an inspection and we will come to your Wichita home and make sure your roof is in good shape. We offer roof repair and replacement in Wichita, Tulsa and throughout Kansas.